Using an innovative brain mapping technique, the Hadassah Medical Organization’s neuropsychiatry specialists have identified a cognitive process that has important implications for understanding the disorientation experienced by Alzheimer’s patients. HMO’s findings have been published in the prestigious Proceedings of the National Academy of Sciences USA (PNAS). 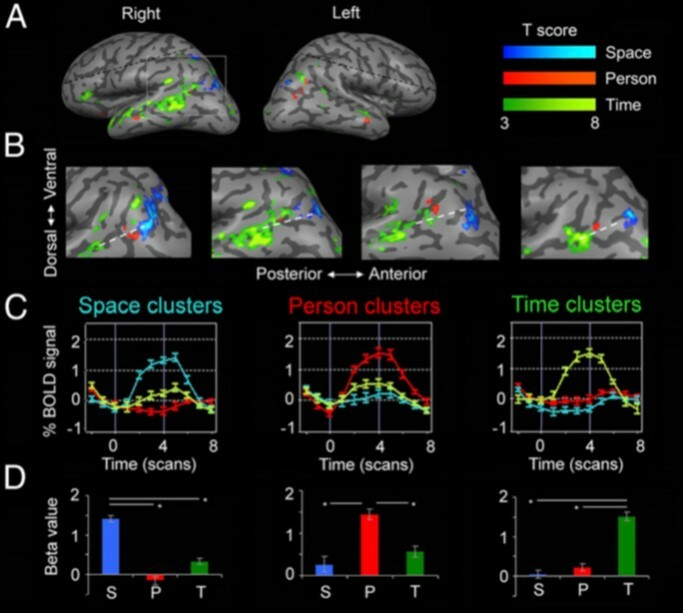 Using high-resolution functional Magnetic Resonance Imaging (MRI), the neuroscientists, led by Dr. Shahar Arzy, Director of Hadassah’s Computational Neuropsychiatry Laboratory, discovered that the human brain has a highly ordered dedicated system that manages “orientation”–the brain function that enables us to know where we are in time and space and social relationship. It is this orientation system that allows an individual to form an internal representation of his external world. HMO’s researchers also discovered that this orientation system overlaps another system called the “default mode network,” which is involved with processing the individuals’ sense of self in relation to time, space, and other people. Dr. Arzy’s team recorded the brain function of 16 individuals, who compared their subjective distance to different places, events, and people. When the researchers analyzed the results, they saw that a local set of structures within the brain were activated that were related to orientation in space, time, and person. A particular pattern of activity was triggered in each person’s brain. The activations were near one another and partially overlapping, illustrating the links among a person’s orientations in space, time, and social relations. At the same time, this activity overlapped with the brain’s default mode network.